This amazing Cal Spas product features many highly sought after luxury features such as LED perimeter and waterfall lighting, an LED Spa light, and our cascade waterfall. To add to your entertainment and enjoyment of this lovely spa, you will receive our MP3 docking station with 4 4×4-inch marine grade speakers. This system is compatible with most iPods or iPhones as well as many other MP3 players. Best of all, this unit is waterproof including the speakers so you can enjoy your music worry free. To increase energy efficiency, the LES 630L comes with our exclusive Hydro-Armor™ tapered spa cover and our standard bottom tray to keep the hot water hot and the cold air out even during colder months. This product also features our WhisperHot™ 5.5 kW heater. To add to your utter enjoyment and relaxation we have added 30 our exclusive CandyCane™ jets and three of our PurePlush™ comfort pillows. The lighting and temperature of this spa can be completely controlled from inside the spa without having to get out to adjust the settings to your liking. 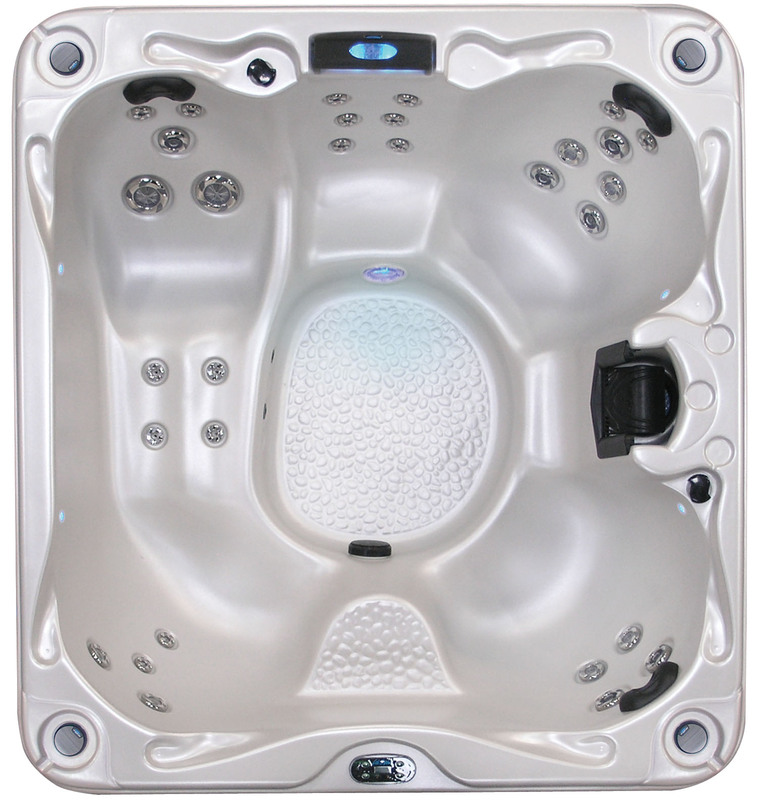 Like all Cal Spas products, the 630L spa is UL, CEC and VGB approved. If you are in the market for a new spa for your home, the Cal Spas 630L offers the best in entertainment and the ultimate in relaxation.